Veterinary house calls are NOT a thing of the past. 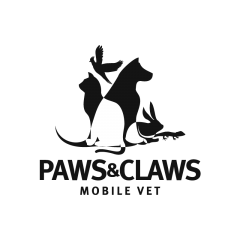 Paws & Claws Mobile Vet combines the personalized tradition of the old-school house call with all the modern conveniences by bringing a custom designed hospital on wheels to your home. Dr. Rick Garcia or one of his associate veterinarians will examine and treat your pet in the comfort of their home, there is no “back room” here. Paws & Claws Mobile Vet Staff are compassionate, dedicated and experienced. By bringing the veterinary hospital to the pets’ home, stress is reduced for both the pet and the owner. The fully equipped medical and surgical hospital can be driven to the pets’ home, eliminating the stress and risk associated with waiting rooms and travel. This is the ideal treatment for companion animals who suffer from stress-induced reactions from a “visit to the vet". Scheduling an at-home veterinary care reduces owners’ stress by eliminating transportation difficulties and scheduling inconveniences. We are able to perform various diagnostic procedures utilizing digital X-Rays, diagnostic ultrasonography including echocardiograms, mobile full body CT scans, soft tissue & orthopedic surgeries and a full service lab. We have everything a ground hospital has and more! !